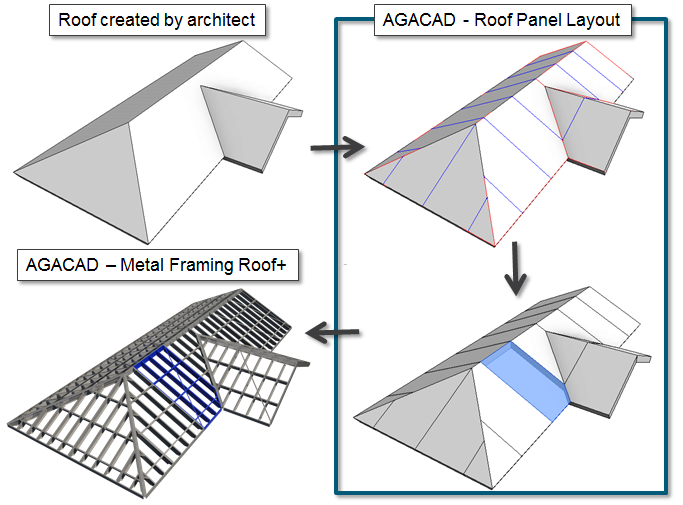 Roof+ automates prefabricated metal framing and rafter structures for roofs in Revit® models. Robust features allow the user to efficiently frame metal roofs, complete with roof joists, battens, valley joists, roof boards, and more. Plus, the software automates shop drawings, including sorting, tagging, dimensioning, and scheduling all frames. Create your own rules and templates, and use them for creating detailed, multi-layer, metal roof framing in your Revit model. Frame large roofs 10x faster than using regular Revit features. Manage joists, rim joists, nogging, bridging, blocking, and bracing placement. Auto-distribute battens, secondary frames, and roofing. Revise your Revit® model at-will simply by selecting the elements and properties you want to modify. Track down structural and engineering clashes. Cut and frame openings according to predefined rules. Be sure roof frames and shop drawings update and adapt to any changes. Carry out structural analysis without leaving Revit. Export your metal frames to external software for analysis at any stage of the design process. 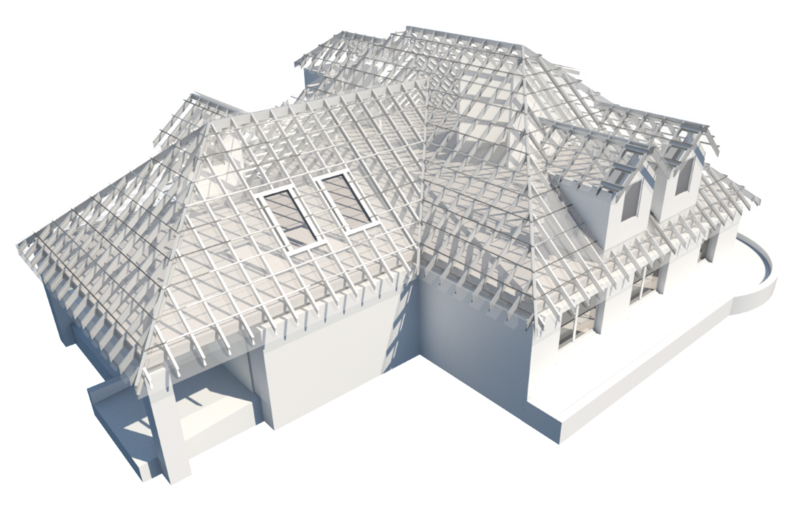 Metal Framing Roof+ lets you quickly create full rafter systems in Revit® models for metal frame roofs of any shape or complexity. Custom-framing functions and versatile schedule generation further accelerate BIM workflow. No more drafting – just design and decide. 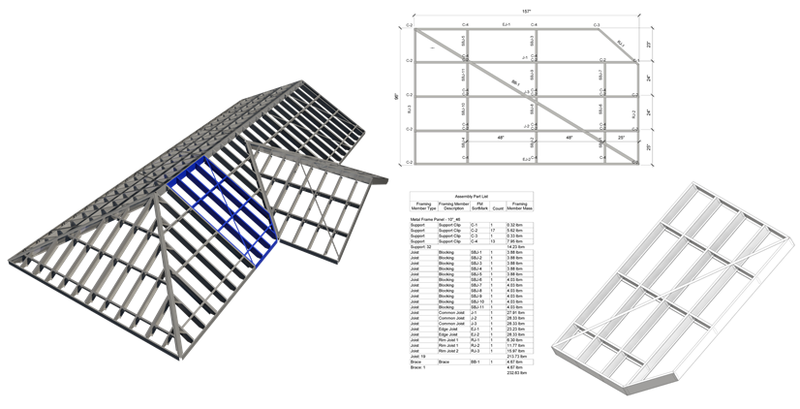 Create detailed, multi-layer, metal rafter roof framing for your Revit model in a snap using fully customizable rules and templates. Freely revise your Revit model by simply selecting the elements and properties you want to modify. Optional export to any CNC machine and CAD/CAM production line, such as Pinnacle etc. Perform structural analysis without leaving Revit, or export your metal frames to external software for analysis at any stage of the design process. Structural Engineers Painless and efficient roof framing based on architectural roof geometry. Build prefabricated and/or rafter roof frames that accommodate user/company specific regulations. Possibility of instantly creating prefabricated metal frame roof panels and/or rafter systems of any shape or complexity. 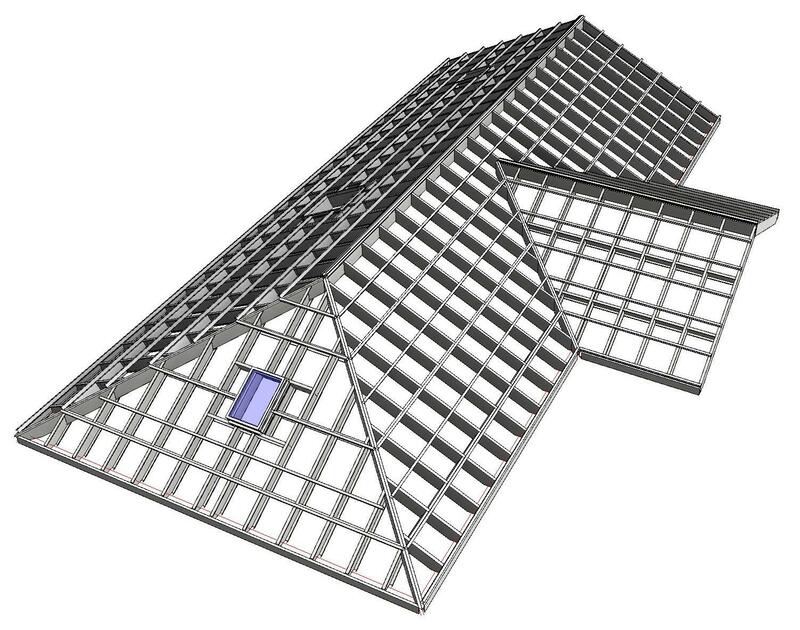 Automated modelling of metal roof framing, including joists, battens, bridging, blockings, rims, noggings, and more. Fully scalable: this software can be used on any structure from simple to complex, including irregular roof shapes. Automated details on bridgings, blockings, and rim joists. Interaction Architectural roof can be split into prefabricated panels using Roof Panel Layout. It takes an architectural roof and automates the panel layout process. The software draws symbolic lines according to predefined rules to indicate the future panels. Then it creates real Revit roof panels. Super Fast. Metal Framing Roof+ was made for speed. It possesses standardized and automated roof framing capabilities that, together with shop drawing generation, enable you to bypass hurdles in building design. Shop Drawings. Now. Did you start framing your first roof panel? Well, your shop drawings have now started as well. Making templates is so easy that you might even forget about it! So, don’t forget to check whether everything is in order in the end, adjust details where necessary, and you’re ready to celebrate the delivery of your project. Updates are a cinch. Were changes made to the roof? All you need to do is update the frame of the selected roof segment. That was easy. New Release of Wood/Metal Framing Floor+ and Roof+ for Revit®. Now possible to make custom headers and top plate supports!